So you bought that new iPhone. If you’re like the typical owner, you’ll be pulling your phone out and using it some 80 times a day, according to data Apple collects. That means you’ll be consulting the glossy little rectangle nearly 30,000 times over the coming year. Your new phone, like your old one, will become your constant companion and trusty factotum — your teacher, secretary, confessor, guru. The two of you will be inseparable. The smartphone is something new in the world. We keep the gadget within reach more or less around the clock, and we use it in countless ways, consulting its apps and checking its messages and heeding its alerts scores of times a day. The smartphone has become a repository of the self, recording and dispensing the words, sounds and images that define what we think, what we experience and who we are. In a 2015 Gallup survey, more than half of iPhone owners said that they couldn’t imagine life without the device. We love our phones for good reasons. It’s hard to think of another product that has provided so many useful functions in such a handy form. But while our phones offer convenience and diversion, they also breed anxiety. Their extraordinary usefulness gives them an unprecedented hold on our attention and a vast influence over our thinking and behavior. So what happens to our minds when we allow a single tool such dominion over our perception and cognition? Scientists have begun exploring that question — and what they’re discovering is both fascinating and troubling. Not only do our phones shape our thoughts in deep and complicated ways, but the effects persist even when we aren’t using the devices. As the brain grows dependent on the technology, the research suggests, the intellect weakens. over our perception and cognition? A 2015 Journal of Experimental Psychology study found that when people’s phones beep or buzz while they’re in the middle of a challenging task, their focus wavers, and their work gets sloppier — whether they check the phone or not. Another 2015 study, appearing in the Journal of Computer-Mediated Communication, showed that when people hear their phone ring but are unable to answer it, their blood pressure spikes, their pulse quickens, and their problem-solving skills decline. What the earlier research didn’t make clear is whether smartphones differ from the many other sources of distraction that crowd our lives. Dr. Ward suspected that our attachment to our phones has grown so intense that their mere presence might diminish our intelligence. Two years ago, he and three colleagues — Kristen Duke and Ayelet Gneezy from the University of California, San Diego, and Disney Research behavioral scientist Maarten Bos — began an ingenious experiment to test his hunch. The researchers recruited 520 undergraduates at UCSD and gave them two standard tests of intellectual acuity. One test gauged “available working-memory capacity,” a measure of how fully a person’s mind can focus on a particular task. The second assessed “fluid intelligence,” a person’s ability to interpret and solve an unfamiliar problem. The only variable in the experiment was the location of the subjects’ smartphones. Some of the students were asked to place their phones in front of them on their desks; others were told to stow their phones in their pockets or handbags; still others were required to leave their phones in a different room. In another study, published in Applied Cognitive Psychology this year, researchers examined how smartphones affected learning in a lecture class with 160 students at the University of Arkansas at Monticello. They found that students who didn’t bring their phones to the classroom scored a full letter-grade higher on a test of the material presented than those who brought their phones. It didn’t matter whether the students who had their phones used them or not: All of them scored equally poorly. A study of nearly a hundred secondary schools in the U.K., published last year in the journal Labour Economics, found that when schools ban smartphones, students’ examination scores go up substantially, with the weakest students benefiting the most. into a single, small, radiant object. That is what a smartphone represents to us. It isn’t just our reasoning that takes a hit when phones are around. Social skills and relationships seem to suffer as well. Because smartphones serve as constant reminders of all the friends we could be chatting with electronically, they pull at our minds when we’re talking with people in person, leaving our conversations shallower and less satisfying. In a 2013 study conducted at the University of Essex in England, 142 participants were divided into pairs and asked to converse in private for ten minutes. Half talked with a phone in the room, half without a phone present. The subjects were then given tests of affinity, trust and empathy. “The mere presence of mobile phones,” the researchers reported in the Journal of Social and Personal Relationships, “inhibited the development of interpersonal closeness and trust” and diminished “the extent to which individuals felt empathy and understanding from their partners.” The downsides were strongest when “a personally meaningful topic” was being discussed. The experiment’s results were validated in a subsequent study by Virginia Tech researchers, published in 2016 in the journal Environment and Behavior. The evidence that our phones can get inside our heads so forcefully is unsettling. It suggests that our thoughts and feelings, far from being sequestered in our skulls, can be skewed by external forces we’re not even aware of. But the findings shouldn’t be a surprise. Scientists have long known that the brain is a monitoring system as well as a thinking system. Its attention is drawn toward any object that is new, intriguing or otherwise striking — that has, in the psychological jargon, “salience.” Media and communications devices, from telephones to TV sets, have always tapped into this instinct. Whether turned on or switched off, they promise an unending supply of information and experiences. By design, they grab and hold our attention in ways natural objects never could. But even in the history of captivating media, the smartphone stands out. It is an attention magnet unlike any our minds have had to grapple with before. Because the phone is packed with so many forms of information and so many useful and entertaining functions, it acts as what Dr. Ward calls a “supernormal stimulus,” one that can “hijack” attention whenever it is part of our surroundings — and it is always part of our surroundings. Imagine combining a mailbox, a newspaper, a TV, a radio, a photo album, a public library and a boisterous party attended by everyone you know, and then compressing them all into a single, small, radiant object. That is what a smartphone represents to us. No wonder we can’t take our minds off it. A quarter-century ago, when we first started going online, we took it on faith that the web would make us smarter: More information would breed sharper thinking. We now know it’s not that simple. The way a media device is designed and used exerts at least as much influence over our minds as does the information that the device disgorges. As strange as it might seem, people’s knowledge and understanding may actually dwindle as gadgets grant them easier access to online data stores. In a seminal 2011 study published in Science, a team of researchers — led by the Columbia University psychologist Betsy Sparrow and including the late Harvard memory expert Daniel Wegner — had a group of volunteers read forty brief, factual statements (such as “The space shuttle Columbia disintegrated during re-entry over Texas in Feb. 2003”) and then type the statements into a computer. Half the people were told that the machine would save what they typed; half were told that the statements would be erased. Now that our phones have made it so easy to gather information online, our brains are likely off-loading even more of the work of remembering to technology. If the only thing at stake were memories of trivial facts, that might not matter. But, as the pioneering psychologist and philosopher William James said in an 1892 lecture, “the art of remembering is the art of thinking.” Only by encoding information in our biological memory can we weave the rich intellectual associations that form the essence of personal knowledge and give rise to critical and conceptual thinking. No matter how much information swirls around us, the less well-stocked our memory, the less we have to think with. That insight sheds light on society’s current gullibility crisis, in which people are all too quick to credit lies and half-truths spread through social media. If your phone has sapped your powers of discernment, you’ll believe anything it tells you. This essay appeared originally, in a slightly different form, in the Wall Street Journal. 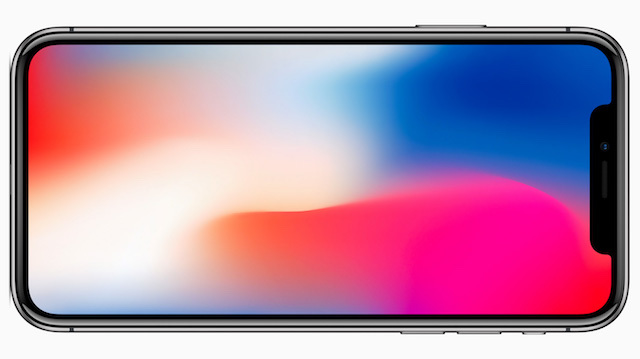 Image of iPhone X: Apple. This entry was posted in Uncategorized on November 10, 2017 by Nick.